Friendship Tails: Lilly Loses Weight Too! Here is Akanya after 1 week on her new diet of Hill’s new prescription weight loss food Metabolic. Her owner, Erin reports she is loving the food and doing great. We will plan on weighing her in one month to see how she is responding. Based on Hill’s Healthy Weight Protocol I expect her to lose about 0.2 pounds per week so she should be under 12 pounds and one paw closer to her ideal weight of 8 pounds. 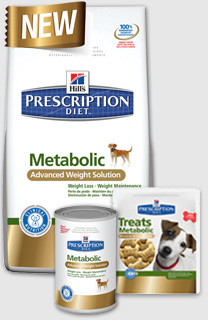 I was so excited about this new breakthrough in weight loss for our pets that I decided to sign my dog Lilly up for the challenge. Lilly is an eight-year-old Chihuahua mix and being so tiny she has always struggled with her weight. Due to her size and love of sitting on the couch she simply can’t consume that many calories without gaining weight. About a year ago she topped out at over 13 pounds and I think she felt the extra weight. She would run around at the dog park but at home she would sit by herself and not really interact much with my other dogs. I have been feeding her and my 11-year-old rat terrier Hill’s j/d (joint diet) because Sparkle has knee issues. Lilly was getting a quarter cup of food twice a day, which is really not that much. I further decreased the amount to an eighth of a cup and she lost about 2 pounds over the next 6 months. With this drop in weight her energy level and attitude completely changed. She became much more interactive with both the people and animals in the house. Still I thought she was a bit chubby at 11.3 pounds so I decided to measure her using Hill’s Healthy Weight Protocol. After entering her measurements and current weight into the computer program it came out that her body fat index was 48% and she should weigh 7 pounds! I have to admit I was shocked and immediately re-measured her about three more times, each time getting about the same thing. I knew she weighed more than I would like but this put her at serious risk for some nasty diseases. She started eating Metabolic that night! So far Lilly seems to be happy with her new diet. She gobbles down her food and gets to eat a whole third of a cup of food, clearly way more than she was eating before. I also add in a fish oil supplement to make sure she has enough omega-3 fatty acids in her diet. I am looking forward to seeing how she responds and watch those pounds melt away. If only they made a food like this for people….